With over 100 years of jewellery crafting expertise and understanding the pulse of our varied clientele, there is one thing that we have understood and stand by. Time honoured techniques and an absolute passion for integrity have always keep us in good stead with our customers. At Davanam, we believe that people buy jewellery because they form an emotional connect to it. We let our surroundings and our clients inspire us, whether they are from Karnataka, Kuwait, USA or UK. Our expert craftsmen create designs for clients all over the world, individual pieces and collections that forge a connection with the wearer. 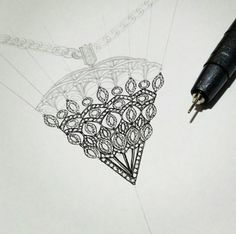 Our signature pieces are not just jewellery items but works of arts that will live forever, generations to generations. At Davanam, it is our simple belief that jewellery should be an object of desire that speaks to our customers and makes them fall in love. Jewellery should evoke a sense of desire and pleasure when our customers lay eyes on them. In a day and age where jewellery has simply become the victim of price tag, we still believe in creating a range of jewellery that is faithful to what jewellery should be; items that inspire the soul instead of only having a price tag. It was through this inspiration that Davanam was born. We create jewellery that goes back to its basics and speaks to our customers about the design, quality and the story behind them. We hope you love our collection as much as our loyal and discerning customers do!